It’s been a massive year for Ariana Grande, what with her breaking records set more than 50 years ago and topping charts all over the world with just one single. And she doesn’t seem set on stopping anytime soon; after releasing seven singles in less than a year, the Break Up with Your Girlfriend, I’m Bored singer is about to release yet another. Specifically, the song she’s about to release is titled Monopoly, and fans are convinced this is going to be the moment Ariana reveals she is bisexual. Despite the song not having been released yet, eagle-eyed fans have found the lyrics on Genius and have discovered a line they think is Ariana’s way to come out as bisexual. As soon as the lyrics leaked, fans took to social media to speculate as to what they could mean, with many expressing excitement at the possible news. wait… did Ariana Grande just come out as bisexual? However, others have speculated that the lyrics were written by Ariana’s bestie Victoria Monét, with whom the song is a collaboration and who recently came out as bisexual to her fans on social media. Although the lyric site says the first post-chorus will be sang by both Ariana and Victoria, and the second just Ariana, some have noted this could be an error and the line could be sang by Victoria instead. 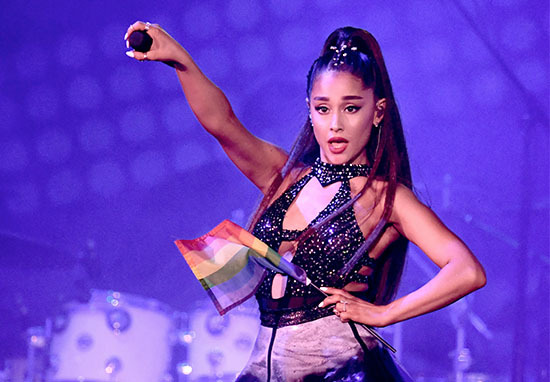 Ariana previously had to defend herself after it was announced she was headlining Manchester Pride, with many people angry a straight artist received the slot. After facing a massive backlash, the 25-year-old singer responded on Twitter to say she wanted to celebrate the community ‘regardless of my identity or how people label me’. LGBTQ representation is incredibly important, and I’m always proud to share the stage with LGBTQ artists! Over the years, Pride events have been headlined by performers and artists of all sexual orientations and genders, including straight allies like Cher and Kylie Minogue. Whether this is Ariana’s way of coming out to her fans or not, I think we can all agree she’s an absolute queen regardless.